Africa Celebrity tours & travels is a medium-sized safari, tours and travel company specializing in personalized safaris in East Africa. We are knowledgeable about the safety of our clients while on holiday. We have offices in Nairobi city in Kenya (East Africa). Our team of experienced, trustworthy, organized and friendly workforce will ensure all these is perfectly delivered. We offer our travellers a wide range of safari packages to choose from. From family safaris, fixed departures, tailor-made safaris, honeymoones to camping safaris; you will be sure to love all that we have to offer in our itineraries. In addition, we do always customize our packages to suite your interests / budget. This means that if our already posted safaris do not meet all your needs, you can always contact us via our email or online booking form to get a customized version of your safari needs. Our driver guides are always neat and wear uniform. They are very knowledgeable about destinations', cities' geography, history and the specific attraction sites and are ready to share with our clients professionally. Want to know more about any information during your safari? If yes, do not hesitate to discuss with these tours because they are always ready to answer all your questions in a friendly and professional manner. In summary, being on tour with our driver guides is like having a family or close friend among your safari companions. You will definately love the experience with our driver guides. History of Africa celebrity tours and Travels. We have been in operation since 2008. Our main offices are based in Nairobi the capital city of Kenya. We are fully Incorporated Company under the Companies Act (Cap. 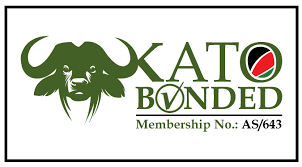 486) Laws of Kenya, licensed by the Ministry of Tourism and Members of Kenya Association of Tour Operators (i.e we are KATO BONDED). We will offer you a memorable experience in all National Game parks and national reserves in Kenya. These include but are not limited to Amboseli National Park, Maasai Mara National Park, Mount Elgon National Park, Kora National Park, Lake Nakuru National Park, Tsavo Conservation Area, Mount Kenya National Park, and Nairobi National Park. We also have a lot of experience in other major tourist attractions in Kenya like Lake Nakuru, Lake Bogoria, Lake Naivasha, Lake Baringo, Lake Victoria, and Lake Turkana, and more others. Uganda is a place you will like to visit because of tourist attraction sites like Bwindi Impenetrable Forests National Park, Rwenzori Mountain National Park, Queen Elizabeth National Park, Murchison Falls National Park, Kibale Forest National Park, The source of the Nile, Mt. Elgon National Park, Semliki National Park, Semliki National Park, Kidepo Valley National Park, and Lake Mburo National Park. Tanzania hosts a number of tourist destinations which our driver tour guides will take you through as easy as ABCD. The include Mount Kilimanjaro, Serengeti National Park, Zanzibar Beaches, Ngorongoro Conservation Area, Olduvai Gorge, Lake Manyara National Park, Mafia Island, Tarangire National Park, Pemba Island, Stone Town, Selous Game Reserve, Arusha National Park, Ruaha National Park, Katavi National Park, Gombe Stream National Park, and Lake Victoria. Tour the Indian ocean Islands with us. The attractions here include Lamu, Diani, Chale Island.